There have been many instances where I have sat in conferences here in Sierra Leone, or gone to meetings, and I’m the only woman speaking. Professionally, people are used to seeing a man, in his 40s or 50s. I often find that people are surprised to see someone my age and gender doing what I’m doing. Often jokes are made – light-hearted jokes – but it’s something that I’ve had to get my head around and look past. My grandmother was the first woman to become a mayor in Sierra Leone, and she did a lot for women’s rights here. Having a grandmother that was able to push boundaries at the time that she did is certainly an inspiration for me. I think about the barriers that she faced as a woman at that time, and she overcame them. It makes me think, ‘okay, what’s my excuse?’. Older people aren’t even mentioned in the constitution, which is sad considering how much they have contributed towards society. It’s ground-breaking for the government to recognise that there is a gap in the legal framework, and to approach us to ask for help in putting together a National Ageing Policy. All older people want to do is age with dignity, and this policy is about helping them to do that. 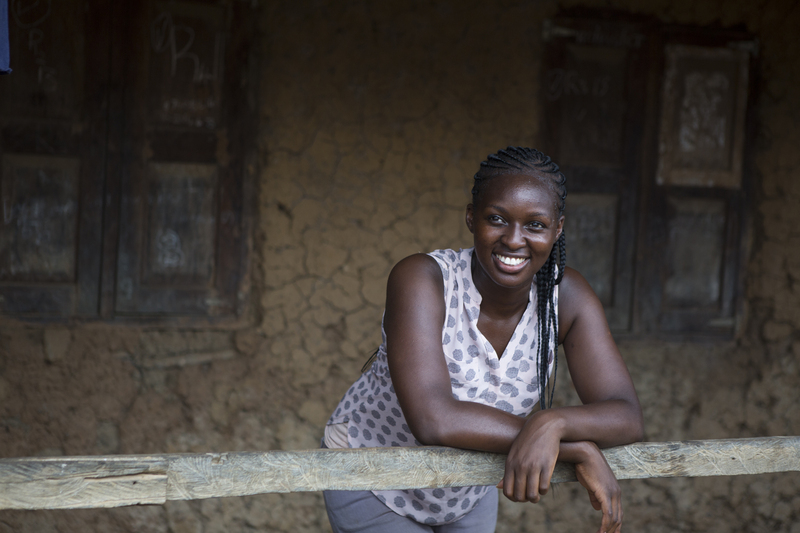 Ebola really did impact the sense of community in Sierra Leone. People were being taken away to be quarantined; you had to stay in your homes; you weren’t allowed to have bodily contact. One older person said that the Ebola crisis was worse than the civil war, because in the civil war you could see the bullets – with Ebola, you didn’t know if the person next to you has the virus. We found many cases of older people whose adult children had been wiped out by Ebola and they were left with grandchildren to care for. So, we decided to run a livelihoods programme, which would help older people regenerate their businesses and support their families. The people we’ve worked with have found a renewed sense of purpose. Even though I wasn’t born here, I do feel that genuine connection. My mother was really keen for us to understand our culture and heritage; every year we’d travel as a family to Sierra Leone. We had family get-togethers and barbeques which created very positive memories. But, at the same time, I could see how some people didn’t have what we had. With every trip, I felt a sense of responsibility to contribute something to Sierra Leone. They’re not seeing their age as a barrier. Seeing someone aged 60 set up a business for the first time is so inspirational! I am a 46 yrs old lady living in Mauritius right now.I am a qualified lab technician and I am ready to help in any possible way but on site,helping people.I am ready to leave my country and family but will be needing a small sustenance salary and accomodation anywhere around the globe where help is needed.A@ny advice will be welcome and appreciated.I am free to join immediately.